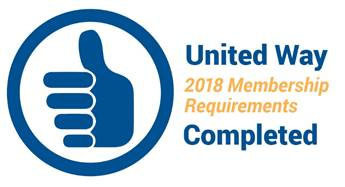 Through the movement of United Ways across the country towards a business model of making lasting change in communities, our organization continues to focus on improving conditions on a broader scale. We continue to fund local programs and also seek to improve pressing community issues. We are working towards systemic change through our investment in local programs. Recent community assessment results, along with additional research, data and input from the community, identify systemic poverty as a root cause of most of our community’s ongoing critical issues. In response to these findings, Cedar Valley United Way has begun to move towards a main focus on poverty, its causes, the things that sustain it, and the resulting actions of the people who live with it. We also recognize through this gathering of data, that strong collaboration among human service agencies is a necessity in order to maximize community resources and impact. Most of our problems are interconnected and therefore must be solved holistically. We must accept that poverty is a local issue and thus work as a community to understand the issues that create it and learn how to break the cycle. Our evolving investment model includes three investment categories in which organizations can apply. These include our Strategic Investments in the target areas of education, income, and health, Emergency and Basic Needs Investments, and Social Innovation Investments. More information on each can be found at the links below. CLICK HERE to apply for funding. All program applications must be submitted using e-CImpact no later than 4:00 p.m. on February 16, 2018. The full funding process timeline is located below. We further recognize that, while the community works to address the root causes of poverty, there are individuals and families in the Cedar Valley who need our support right now. An Emergency and Basic Needs funding category is now available for programs that focus on these emergency and short-term outputs rather than outcomes, to provide services that assist those that have experienced a temporary setback or who face emergency situations. Cedar Valley United Way also accommodates for a special allocation of funds reserved for breaking the cycle of systemic poverty through innovative research and community action through our Social Innovation Investments (previously referred to as Community Assessment Response and/or Research and Development Investments). We recognize that to break the cycle, we must also support new and innovative collaborative ventures. There is no deadline for Social Innovation Investment proposals, these may be submitted and reviewed according to the timeline and eligibility requirements outlined below. Is the program established and effective, and is there an evaluation tool in place to measure client *outcomes that align with CVUW strategies in education, income and health? Is the program a new venture or idea for learning, with the intent to impact the root causes of poverty in the Cedar Valley? Is the program established and effective in assisting low-income individuals to overcome immediate basic needs and/or short term crisis situations, and is there an evaluation tool in place to measure **outputs? If yes, the Emergency and Basic Needs category is most appropriate, dependent on whether the additional eligibility requirements listed are also met. For further guidance on determining the appropriate investment category, or for any further questions, please contact Debbie Roth at debbie.roth@cvuw.org or (319)235-6211 ext. 13. **Outputs are defined as the product of the program, the direct numerical results of the program activities (i.e. number of clients who receive a service, number of meals served, etc.). Outputs are evidence of service delivery. *Outcomes are defined as the direct, intended, beneficial effects on the target population. Must involve a measurable change in behavior, attitude, condition, knowledge and/or status. Application process review and informational session held for applicants at 425 Cedar Street, Waterloo, Philanthropy Boardroom. Maximum of 2 representatives per applicant agency, RSVP required to Debbie.roth@cvuw.org. December 12th and 14th sessions will cover the same material, so it is not necessary to attend both. Application process opens. Agencies must register and submit materials on e-CImpact, the link will be posted on our website. Application process closes. All applications and required materials must be submitted online by this date and time. Current funded partners, download a copy of Cedar Valley United Way's logo to use in your materials. If you need the file in a different format, please contact Samantha Meier.